Unlawful arrest is an issue that is increasingly in the media spotlight. High profile cases such as that of Andrea Taylor have gained a lot of attention in recent years, and have cost the police force money in legal costs and compensation. 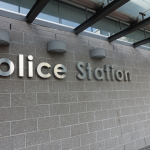 If you have been unlawfully arrested, you may be able to seek legal recourse against the police, and you could have the charges against you dropped. What about if I plead guilty? If you believe that you have been unlawfully arrested, or if you have been arrested under any circumstances, it’s important to speak to a lawyer before you admit to any charges against you. Pleading guilty after you have been unlawfully arrested may mean that you are convicted, even though the police acted unlawfully. 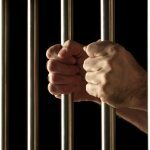 It is often possible to avoid conviction in cases where you have been unlawfully arrested, and have the charges against you withdrawn. If you admit to the charges or plead guilty, this can be a lot more difficult. Wrongful arrest assumes that a person has been arrested unfairly when they are innocent of committing the crime they have been arrested for. Pleading guilty makes the case less clear, although it is still possible to escape conviction, or in some cases seek compensation from the police for wrongful arrest, particularly if they used excessive force to arrest you. If you have been unlawfully arrested and can prove that the police acted illegally, it is often possible to have the charges against you dropped. Your criminal defence lawyer will be able to advise you on whether you are likely to be successful and apply to have the charges withdrawn on your behalf. Police may not be able to use evidence they obtained through a wrongful arrest against you in court, and even if they do decide to proceed with a case, being wrongfully arrested can strengthen your defence and make it harder for police to successfully prosecute you. 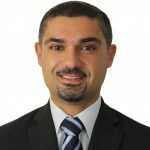 There have been a number of proposed changes to the arrest rights of police in NSW after a recent spate of wrongful arrest cases, which have resulted in compensation for members of the public. These changes are highly controversial, as they would provide police with increased powers of arrest and make the circumstances surrounding unlawful arrest less clear. Some of the proposed changes include allowing police to arrest people to check their identification or for questioning, and rather than having to have reasonable grounds to suspect someone has committed a crime or is about to, police will be able to arrest suspects on the basis of believing that arrest is ‘reasonably necessary’. 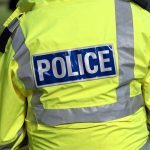 The vagueness of these proposed amendments could leave the law open to interpretation by individual police officers, and there are concerns that this could lead to breaches of basic human rights. Under the proposed new legislation, it would be much more difficult to prove wrongful arrest, and this could lead to people being convicted even in cases where they were unfairly arrested and charged with a crime. 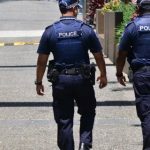 According to research from the University of NSW (UNSW), arrest is already being disproportionately used in Australia, particularly against Aboriginal people. 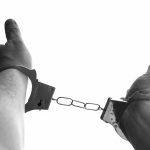 Arrest is a deprivation of liberty and is intended to be used only as a measure of last resort when an infringement notice or court attendance notice is not sufficient. The proposed legislation is likely to increase the incidence of arrests and make it a more widely used strategy, which will only make the problem worse. Perhaps instead of saving money on compensation costs by making police less liable for unlawful arrest, officers should be better trained and educated in alternatives to arrest, so that incidents of unlawful arrest become less common.